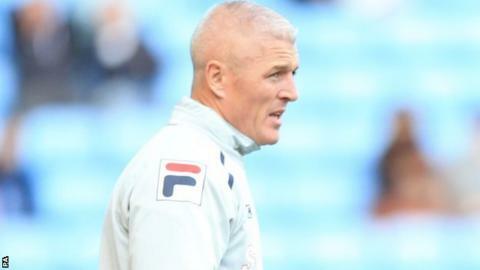 Carlisle boss Graham Kavanagh is happy with the options available in his squad after making four signings last week. "It was difficult to bed the lads in last week as there was no time to get them training with the squad. But I'm pleased with the recruitment - we have so many options now," Kavanagh said. The Irishman and has since overhauled the Carlisle squad. Since August 2012, Carlisle United have signed 17 players on loan and 10 players permanently. In addition to the new temporary recruits, Ben Amos, Max Ehmer and Nathan Eccleston have all arrived on loan deals, although Ehmer and Eccleston have since returned to their parent clubs. Pascal Chimbonda, Prince Buaben and Meppen-Walter have joined permanently. "It's a slow-burning process given how many new players we've brought in," Kavanagh told BBC Radio Cumbria. "We can really change the game from the bench and I really believe this squad can be moulded to play the passing football I want."